Each piece at J Bliss Studios is handcrafted by husband and wife team Jared and Joanna Bliss in their Woodstock studio and storefront. Joanna and Jared, born and raised in the Hudson Valley, have been immersed in the world of art and nature through their families and community their entire lives. Her mother an art teacher, Joanna grew up both making and learning about art. At fifteen she took her first jewelry course at Kingston High School and was immediately hooked, beginning an internship with a local jeweler just a year later. Joanna then went on to SUNY New Paltz where she received her BFA with a concentration in metals and a minor in business administration. Jared grew up with his father’s design studio right at home, giving him early access to the world of art. From his earliest school days Jared’s notebooks have always had more drawings and doodles than words. Inspired by his fascination of nature and science fiction, Jared draws from both reality and the imagination. Creating illustrations of creatures and landscapes that are familiar yet other worldly, each drawing has its own story to tell. We offer custom designs in all mediums that we work in. Whether it’s a slight variation of one of our existing designs to something completely new, we are happy to create a piece that is both a reflection of who we are as artists and is just right for you. We enjoy working alongside our customers to create meaningful and unique work. 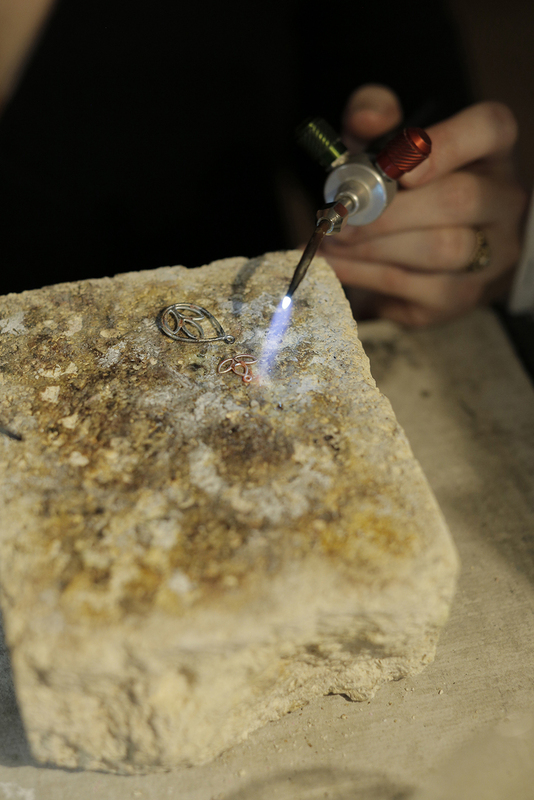 Whether it's using heirloom stones, working with a motif that holds sentimental value, or creating the piece of your dreams, we are happy to work with you! You are welcome to visit us anytime at our shop in Woodstock during business hours to discuss. To guarantee our undivided attention we suggest emailing us at Info@JblissStudios.com to set up an appointment. Consultations are always free.